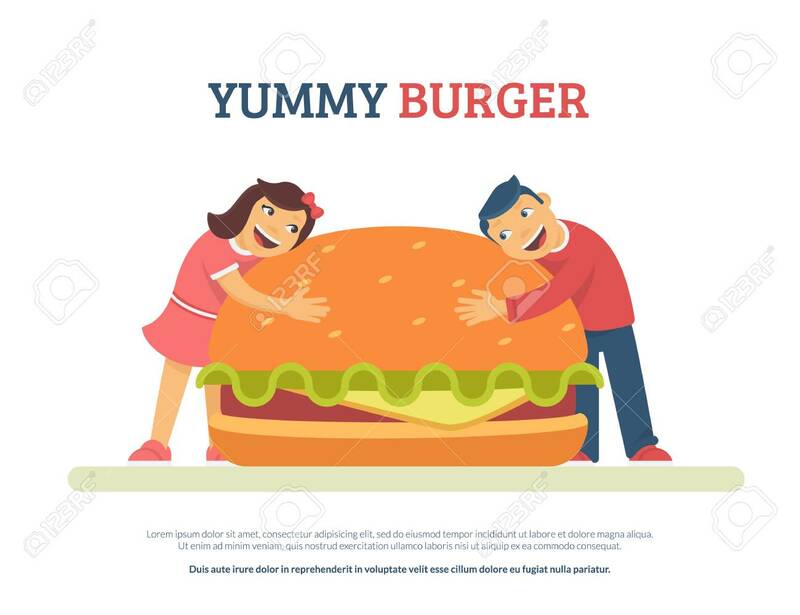 Yummy Burger Concept Flat Vector Illustration Of Funny Boy And Girl Lovely Hugging A Big Hamburger. Happy Friends Hugging Burger Isolated On White Background With Copyspace For Promo Text Lizenzfrei Nutzbare Vektorgrafiken, Clip Arts, Illustrationen. Image 104432888.